This caring Decléor Rose D'Orient Night Balm is heavenly for your irritated and sensitive skin. Performing miracles while you sleep, feelings of discomfort and tightness are tenderly soothed overnight. With its luxurious, melt-in texture Aromessence Rose D'orient Night Balm offers all the benefits of a made-to-measure aromatic night-care treatment. It soothes and helps reduce signs of irritation, while comforting, resting and relaxing your facial features. Extracted from the petals of Rosa Damascena, damask rose essential oil is at the hearth of this balm due to its softening and protective properties. It also has essential oils of néroli, camomile, plant oils and waxes of almond as well as blackcurrant. Warm a little of the balm in your cupped hand. Apply in light sweeping strokes. 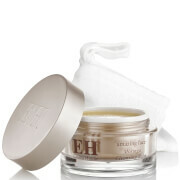 I have very sensitive skin and find the Rose d'Orient night balm is good at soothing it down. Plus it smells amazing and sinks in very quickly. This balm is amazing. A little goes a long way and it leaves my skin feeling very soft and well nourished. I love the smell but was a little wary at first as it is very greasy and, having combination skin, I was worried it might be too heavy. I couldn't have been more wrong. It is also great for calming rosacea and I have seen a massive improvement. The delivery arrived very quickly after ordering and I can't fault the service from Look Fantastic. 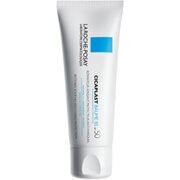 This product is a savior when you have sensitive skin. 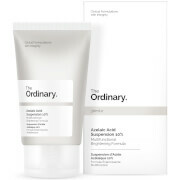 I have occasional eczema flare-ups and this product soothes my skin down and I also awaken with clearer and softer skin. I definitely recommend this product to anyone with sensitive skin. It saved my sensitive, dry rosasea-skin... Moisture back every morning! Decléor Rose D'Orient Night Balm really does hydrate and smooth the skin to restore the skin's natural glow. I go to bed and know that it is working whilst I sleep. 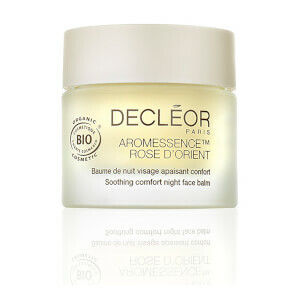 The Decléor Rose D'Orient Night Balm - Aromessence Baume De Nuit (15ml) felt fantastic on my skin after applying it. I take a few deep breaths to inhale the aroma oils, it's so relaxing.